All editions are beautifully designed and are printed to superior specifications; some include illustrations of historical interest. Barnes & Noble Classics pulls together a constellation of influencesbiographical, historical, and literaryto enrich each reader's understanding of these enduring works.Immediately recognized as a masterpiece when it was first published in 1847, Charlotte Bronte's Jane Eyre is an extraordinary coming-of-age story featuring one of the most independent and strong-willed female protagonists in all of literature. 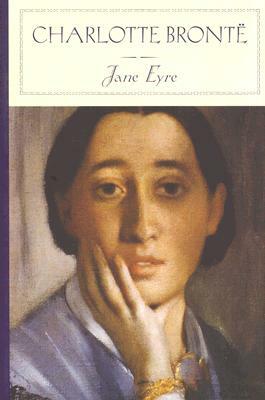 Poor and plain, Jane Eyre begins life as a lonely orphan in the household of her hateful aunt. Despite the oppression she endures at home, and the later torture of boarding school, Jane manages to emerge with her spirit and integrity unbroken. She becomes a governess at Thornfield Hall, where she finds herself falling in love with her employerthe dark, impassioned Mr. Rochester. But an explosive secret tears apart their relationship, forcing Jane to face poverty and isolation once again. Susan Ostrov Weisser is a Professor of English at Adelphi University, where she specializes in nineteenth-century literature and women's studies. Her research centers on women and romantic love in nineteenth-century literature, as well as on contemporary popular culture. Weisser also wrote the introduction to the Barnes & Noble Classics edition of Persuasion.